IT leaders across several industries are intrigued by digital transformation, but many still haven’t figured out how to put it to work for their organization. Some organizations laid the groundwork with early Internet of Things projects. Others can benefit by studying these early successes and failures. As enterprises look for effective, manageable entry points into digital transformation and IoT, they should consider use cases proven effective for organizations in their industries. Here are six of the most common — and valuable — ways businesses are already adopting innovative solutions. This is a use case that applies to organizations in practically all industries, as every dollar that can be saved from reductions in heating, cooling and water usage can be reinvested in the business. Additionally, many organizations undertake ambitious energy and water conservation efforts, and smart building programs can increase worker comfort. According to Intel, a smart building program can cut energy costs as much as 8 percent in the first year of implementation, with annual savings reaching up to 30 percent in subsequent years. With connected sensors, organizations can continuously monitor the condition of high-value and mission-critical equipment for signs of imminent failure, and then either proactively perform repairs or replace the equipment before it malfunctions. This not only decreases maintenance costs, but also prevents productivity losses by minimizing equipment downtime. Predictive maintenance is an especially important IoT use case for industries (such as the gas, oil and energy sectors) that require organizations to operate in remote environments where maintenance is a major challenge. Shell, in partnership with Microsoft, is one organization that’s making use of IoT data to institute predictive maintenance efforts on its oil rigs and at gas stations. As organizations collect and analyze more data, they are finding ways to use this information to forecast vital variables such as customer needs and product demand. Better forecasting can help enterprises get ahead of the market with their offerings, and can lead to manufacturing schedules, marketing campaigns and pricing strategies that allow them to match the type and quantity of their products and services to changing conditions on the ground. The data needed for effective predictive analytics programs can be gleaned from IoT components including video feeds, mobile geo-location, social media channels and log files. Many businesses have utilized security cameras for decades. By connecting IP-based cameras to the network and applying analytics tools, organizations can automate existing processes and arrive at valuable new insights. Many cities already use camera systems to automate processes such as speed-limit enforcement and toll collection, and analysts foresee a future in which cameras are able to use facial recognition and other intelligent features to make “decisions” on their own. For instance, public street cameras might one day automatically dispatch first responders after an automobile accident. Tools such as radio frequency ID tags and mobile beacons can track people and assets. These solutions are often used in the retail sector, as well as settings where inventory management is a critical concern. In retail, the simple act of keeping the right products in the right place on the shelf so they’re available for customers to purchase can prove deceptively difficult. And when retailers make mistakes in this area, it often costs them sales and has a negative impact on the overall customer experience. According to the International Council of Shopping Centers, 41 percent of shoppers want stores to provide interactive shelves to give product information, and 36 percent are interested in in-store tablets that show a larger offering of products to purchase. According to the International Labor Organization, workplace accidents account for 320,000 deaths each year, with non-fatal accidents numbering more than 300 million annually. 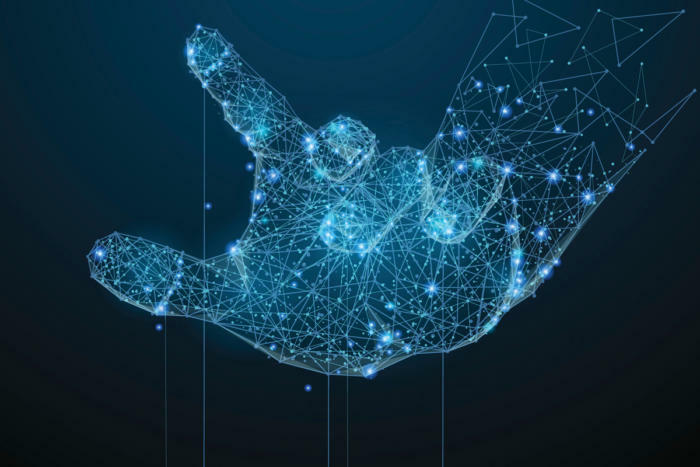 IoT-connected wearable devices, including helmets and wristbands, can help prevent these incidents by collecting biometric, environmental and geo-location data and sending real-time alerts to employees and managers if workers’ well-being is compromised. For example, wearables can help ensure workers aren’t exposed to excessive levels of heat, cold, radiation, noise or toxic gases. Read more about digital transformation on our blog. When Should You Outsource Cybersecurity for Your Small Business? BTEX 2018: How Will Your Company Deal with Digital Transformation?